In 2016, the video industry saw the influence of MPEG-DASH (Dynamic Adaptive Streaming over HTTP) growing for many converging reasons. With the accelerated demotion of Silverlight and Flash plug-ins in browsers, only HLS (HTTP Live Streaming) and DASH are surviving in the adaptive bitrate (ABR) format landscape where Media Source Extensions (MSEs) increase their dominance. In the U.S., HLS is clearly taking the lead, at least until the Advanced Television Systems Committee (ATSC) version of DASH gets in the game as a rationalization factor between broadcast and over-the-top (OTT). In Europe, however, DASH is already strong. 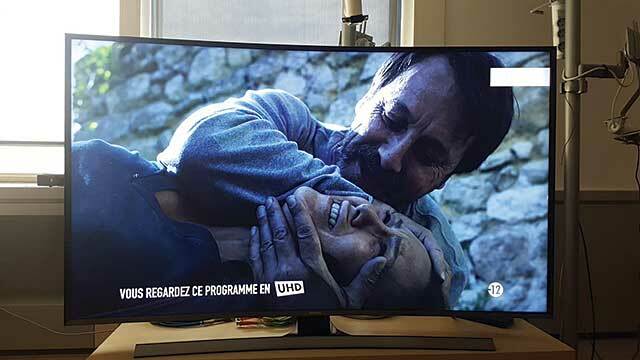 It has grabbed the attention of most broadcasters, pure OTT players, and streaming service providers looking at future-proofing their ABR format strategy, supporting 4K/Ultra HD (UHD) delivery scenarios and premium services. MPEG’s Common Media Application Format (CMAF)—which aims at bridging HLS and DASH around a shared media format based on the International Organization for Standardization Base Media File Format (ISO-BMFF) container (precisely what uses DASH for its media segments)—is helping DASH, as CMAF can leverage its capabilities to reference media objects in a fine-grained approach. The broadcast industry is also pushing DASH, through the upcoming ATSC 3.0 specification that uses DASH for both broadband and broadcast delivery as well as the now-finalized Hybrid Broadcast Broadband TV (HbbTV) 2.0.1 specification, which is leveraged in deployments all across Europe. Innovation in UHD and virtual reality (VR) is also powered by DASH on a majority of devices, turning it into an unavoidable toolset for the present and the future. “The level of deployments has been rising, and attendance at DASH-IF workshops and seminars has never been higher,” says Will Law, DASH-IF promotions group chairman and Akamai chief architect for media cloud engineering. So Molotov took the DASH path, first by trying to set up a cross-browser website, but it proved to be a difficult challenge. “We were confident that it would work, but that wasn’t very easy to handle,” says Faure. “First we saw that it would be difficult to get the same user experience fluidity on other browsers than Chrome. We also faced the lack of Widevine Content Decryption Module (CDM) on other browsers (Firefox/Safari), which implied fallback to a Flash-based player combined with the Adobe Access CDM. The user experience was catastrophic, partly because of players’ lack of maturity, and partly because we had very high expectations in terms of reactivity.” The end of the player implementation is surprising: instead of striving to make it work in a cross-browser approach, Molotov completely changed its approach. “This is how we came to the idea of implementing the desktop client as a native application, based on Electron,” says Faure. “With this choice, we completely master the browser (version, evolution, console display manager, etc. ), and it allowed us to even propose a Linux version, which is not so common in our market segment. That was clearly one of the best ideas we had before the launch, and we did not hear a single complaint from customers about this mandatory installation.” Molotov TV users have acclaimed the service for its reliability and its fast video start time, which is definitely the result of DASH optimizations across the chain and of a performing front-end environment. 2016 was a crucial year for the video ecosystem, as MPEG’s CMAF initiative emerged to the public after a period of incubation by Apple, Microsoft, and a few partner companies. The primary motivation was to answer the pressure of the ecosystem to mutualize the video contents and stop producing in parallel transport stream (TS) segments for HLS and ISO-BMFF segments for DASH. Since version 4, this is possible in HLS with an approach similar to DASH’s “isoff-on-demand” profile, with byte-range requests in a single MP4 file. But live streaming was still requiring TS segments in HLS. With CMAF, both HLS playlists and DASH manifests can reference the same ISO-BMFF segments, in live and on-demand use cases. That’s a major game changer for the industry as it has the potential to divide storage space by two and multiply cache-ability on the CDNs by the same factor. And it’s great to see Apple coming back into multilateral discussions with the rest of the ecosystem after a long period of solo play on the HLS track. The public discussions began at the MPEG 114 meeting in February 2016, and the Draft International Standard (DIS) was finalized at MPEG 116 in Chengdu, China, in October. Now that the technical scope is fixed, we have several editorial iterations to go until the status of the International Standard, which is expected in Q3 2017. Implementations and deployments had already started when this article was written in December 2016, with Apple’s fMP4 client-side support on iOS 10, tvOS 10, and macOS 10.12 and Akamai’s CMAF output support in its Media Services On Demand content preparation solution. We can expect an acceleration in implementations in 2017 as the target format gathers consensus in the industry, at least on its baseline features. CMAF is very close to DASH as we know it today, with a few more restrictions on the ISO-BMFF container. It leverages MPEG existing technologies—such as AVC, HEVC (up to UHD), and AAC—which will provide a good interoperability basis for the years to come. Even the subtitles topic has been addressed with the adoption of Internet Media Subtitles and Captions 1.0 (IMSC1) as the main technical candidate. WebVTT is also considered, but its adoption is challenged as it’s not yet a true W3C recommendation. 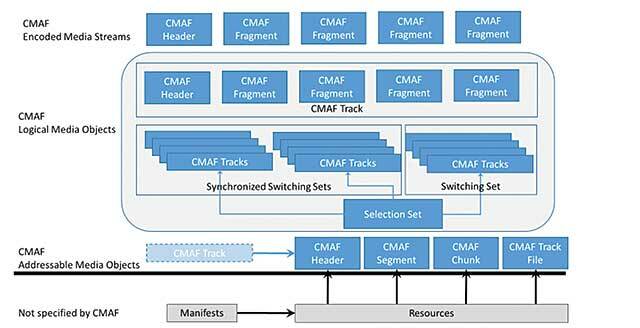 CMAF is also bringing an interesting feature to the mix, with the low latency CMAF chunks. These chunks are subparts of the media segments and can be used on the player side to start playback while the whole segment is not yet fully loaded. Combined with very short segment durations, this has the potential to bring down the average latency of our future streams to a few seconds, compared with the 15–30 seconds that we usually see today. Iraj Sodagar, DASH Industry Forum president and MPEG’s DASH subgroup chair (also representing Microsoft in both organizations), summarizes the encryption situation this way: “The current solution in CMAF DIS allows signaling the encryption mode in a presentation profile. Therefore, a content producer can use any of the three CMAF presentation profiles (unencrypted, encrypted with CTR, and encrypted with CBC) when encoding content. A manifest can signal the presentation profile. I believe the current solution provides a clear path for content providers to decide on the encryption modes and use them in their deployments.” While content producers indeed have the choice to use either AES CBCs encryption scheme (mapped to the cbcs CMAF Presentation Profile) in order to support Apple FairPlay DRM, or counter mode (CTR)-based CMAF Common Encryption (CENC) Presentation Profile for most of other DRM solutions like Widevine and PlayReady, this situation basically hinders mutualization of the segments and does not really provide a definitive advantage over the current combo of HLS TS and DASH ISO-BMFF. This is true for premium content requiring DRMs, as long as we don’t see a convergence of the AES encryption schemes on the content preparation workflows and video player sides. Still, content without DRM fully benefits from the mutualization, which does still represent a huge part of the delivered contents. Apart from this encryption scheme, the interoperability concerns are focusing on the mapping between CMAF and DASH Object Models and on providing a clear transition path for DASH toward CMAF, in all client environments. Thomas Stockhammer, director of technical standards at Qualcomm, editor of the MPEG-DASH specification, and chairman of the DASH-IF IOP group, provides a clear overview of the challenges faced by the ecosystem here: “The following points need to be addressed: ensure that CMAF content providers players distribute CMAF content using DASH-IF IOP, in a transparent way to existing DASH-IFs (DASH-IF and MPEG work). Once ensured, provide guidelines on how to distribute CMAF content in various modes such as DASH On-demand, DASH Live, or DASH Low Latency Live profiles (DASH-IF work). And finally, provide specific signaling that content not only conforms to DASH, but also to CMAF Media and Presentation Profiles (that’s for CMAF Players).” Those three first points will ensure an extensive mapping between CMAF and DASH. Featured Articles: Life After Flash: Will Producers Move to HLS, DASH, or Both? While it's clear that Flash's time is coming to an end, it's less clear what will replace it. A survey shows DASH support, but its real-world use is around one percent.